Music therapy is an established clinical discipline which is widely used to help people whose lives have been affected by injury, illness or disability. The title music therapist can only be used by those registered with the Health and Care Professions Council (HCPC). Music therapy is a method of creative communication which takes place within a therapeutic relationship developed over a series of regular sessions. These sessions can be 1:1 or in a group environment. Music is essentially a social activity which involves communication, listening and sharing. A music therapist is trained to observe the underlying needs and behaviours of the client. It is often used when verbal skills are limited due to physical or learning disability. Through working together in a safe environment, the creation of a place to explore and express feelings is nurtured. Anouska Henderson is the Music Therapist at Brookfields School. Anouska trained at Roehampton University and has experience working with both children and adults with learning disabilities. She works at Brookfields for 3 days a week and also works at another special school in Berkshire. Anouska is a member of BAMT (British Association for Music Therapy) and is registered with the HCPC. 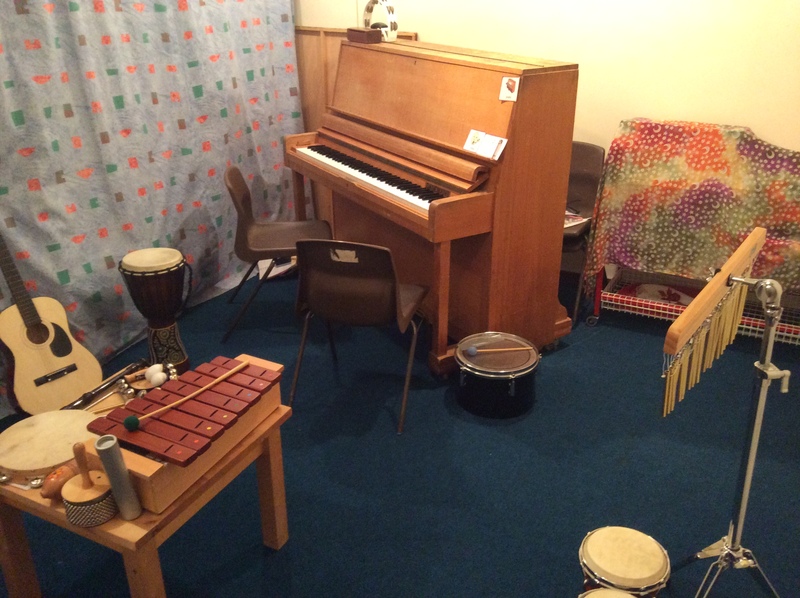 Students at Brookfields School can be referred to music therapy by any member of staff in the school or by parents in consultation with their child’s class teacher. A referral form must be completed and then Anouska is able to observe the student and carry out assessment sessions. There may be a waiting list for referrals and students in music therapy will have their therapy reviewed each term.